At the moment, everyone is feeling the punch as there is an uncertain economy. When you are running a business, every penny really does count and just the smallest increase in revenue or reduction in expenses can have a huge impact on your company profitability. Here, we are taking you through some simple ways in which you can cut your business costs over the coming year. While some businesses will try to offer as many products or services as they can, this can often lead to a decline in the quality of products or work that they are offering, which can have the opposite impact that you want to make on company sales. An effective strategy can instead be to do the opposite and really narrow down what it is that your business offers. This will allow you to really concentrate on selling in the areas that you are best in which will make you more productive and will also mean that you are producing a higher quality of work. However, an option is to subcontract if you are being asked about services that you do not yet provide. Analyse the space that you are currently in and work out whether or not it is right for you or if you could be using it to a better potential. If you can centralise your business, why not do this to save yourself money? If your office lease is coming to an end, another great option is to create your own office space with a steel building. A steel building can be purchased and erected quickly from a reputable supplier such as Armstrong Steel and you won’t have to pay expensive rent fees, saving you a lot of money. Not only that, as your business expands, so too can your steel building as so you won’t need to deal anymore with the cost and stress of upheaving one office and moving to another. While you don’t want to get rid of paid advertising that is working, you will want to overhaul any marketing techniques that are stagnating and not giving you a good return on investment. 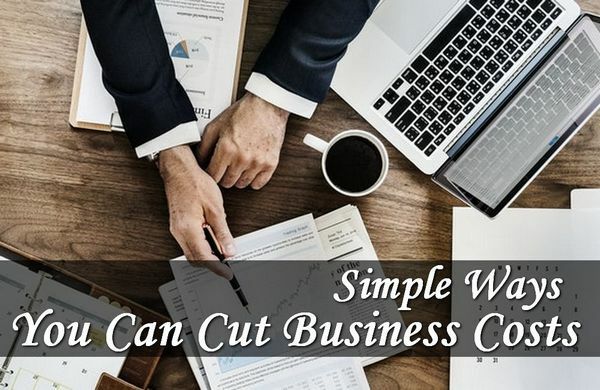 There are lots of ways now that you can alter your business marketing and technology means that you can massively cut these costs. This includes options such as building your customer e-mail list, networking more, and utilising social media platforms to build your brand and advertise. What’s great about advancements in technology is that you can use it to your advantage to massively reduce business costs. For example, there is now no longer any need to be constantly travelling to meet clients as you can use virtual methods such as Skype. Other technology such as Google Drive allow you to centralise your company documents and make it easier to collaborate with others as everyone can access them and you don’t need to spend money using lots of paper or waste precious time in meetings.